Under the Basic and Premium plans, the reminders are sent via your device and carrier. However due to restrictions from the iOS and Android operating systems, a tap is required for each reminder to be sent. For those of you who prefer fully automated reminders, we have built the Ultimate plan. With Ultimate, the reminders are sent via cloud using our SMS system, and are fully automated. It doesn’t matter on what device you’re using the app, we make sure your appointment reminders are always sent out. So Google’s or Apple’s restrictions don’t apply to Ultimate, because we’re not using your device to send the messages. In which countries does the Ultimate plan work? We currently cover more than 200 countries and we are able to send messages to 700 networks. So, most likely we’ve got your back. How many messages do I get each month? Because Ultimate uses our own SMS system, we are paying for the messages sent. That’s why Ultimate costs a bit more and that is also the reason why we can’t grant unlimited messages. As an Ultimate subscriber, you get 500 FREE messages each month. If you use them up, you can simply buy extra messages, from 50 messages (US$1.99) up to 500 messages (US$14.99). Unused extra messages are carried over to the next usage cycle, after which they will expire. From what number do Ultimate messages come from? Under the Ultimate plan, the text messages will come from a generic number. E.g. the phone # in the USA: +1 (888) 502 2560, and for each country we have a local number. Can clients reply to Ultimate messages? Yes, your clients can reply and their messages will be redirected to your mobile number. Please make sure you have added your mobile number in Menu > Settings > User account > Edit. Depending on the length of the reply, a certain number of messages will be consumed out of your monthly message quota. Client replies are currently available in: United States, United Kingdom, Australia, Canada, Romania, Ireland, Puerto Rico, Sweden, and South Africa. To request message replies in your country, please email us at support@appointfix.com. Also please include your mobile number in the reminder message template and instruct clients to use that number when they want to contact you. Use something like this: If anything, please call or text: “add your number”. You can edit your reminder message template by going to Menu > Settings > Reminders > Reminder message template. If clients still reply to our generic number, we’ll forward the message to you. However if they call on our generic Ultimate number, they won’t be able to reach you. Where can I see my text message reminders and the status for each one? You can check anytime the status of each message by going to Menu > Reminders. 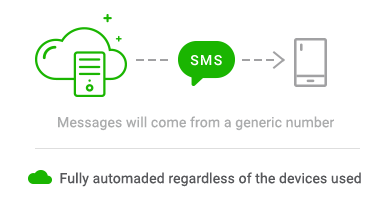 Remember that what gets sent to your clients is what you have set in Menu > Settings > Reminders > Reminder message template, your customized text message for each appointment. Since the messages are sent via cloud and not using your device, you won’t be able to view them in your phone’s Messages app. Where can I see how many Ultimate messages were consumed and how many I got left until the monthly cycle resets? Please open your Appointfix app and go to Menu > Settings > User account. Why do I have so many text messages consumed? Please check the length of your message template. The app might use up more than one text message per reminder. The length of your message is dynamic and depends on the text and fields you’re using. The standard length of a text message is 160 characters, so if your message is longer than this, please consider shortening it. Using Unicode characters (Emojis or special characters) also has a big impact on message consumption. It will shorten your character space to only 70 characters for one text message, thus consuming twice as many messages per reminder. So please avoid them. You can check all of the above by going to Menu → Settings → Reminders → Reminder message template. Above the template you’ll see an estimation of how many messages each reminder will consume. Another thing is to limit the number of reminder times to just two. Most of our clients use a combination of “Instantly” and “1 hour” or “24 hours” before the appointment. In case you need more than 500 messages monthly, please go to Menu → Settings → User account, and then tap “Buy more text messages”. Prices for our extra message packs: 50 messages for US$1.99; 100 messages for US$3.99; 250 messages for US$7.99; 500 messages for US$14.99. We hope we’ve managed to cover most of your Ultimate plan questions. If we’ve left something out, please leave a comment below. Thank you!